If you follow my “photo of the day” you’ll know I was recently whisked away to the beautiful, historical and captivating city of Rome. I have always wanted to go and it was even more important I looked good for this trip because I was away with a boy! The trouble was, I had no idea if it was going to be hot or cold, wet or snowing, if I needed smart clothes or casual ones etc, etc. With strict weight limits on luggage these days and extra charges for checked luggage, I was determined to take only what I needed so I could carry it on. We’d be walking a lot, seeing sites, climbing up Spanish Steps and so on, so I needed to be comfortable and practical in my choices but I also want to look chic! I first thought about my feet; Rome is notoriously hard on the feet with cobblestones commonplace throughout and sites a good distance from each other. 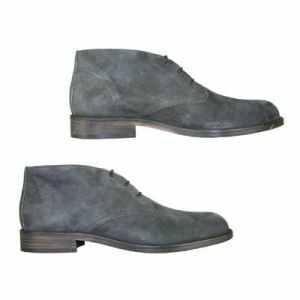 I decided on my comfortable and stylish grey Jones Bootmaker shoes and a pair of heels in case I felt brave one night! The best thing about my Jones Bootmaker shoes are that they go with so many things. They dress down dresses, look casual with a pair of jeans and even add a cute touch to mini-skirts. You can wear with them with tights when its cold, little socks when its warmer and the whole time be smiling away because your feet don’t hurt for a second! Therefore, those are the exact items I packed to go along with them. You may very well be thinking it is a little odd to plan my whole long-weekend away’s outfits around shoes…but it really is the most important thing to get right on a city break. 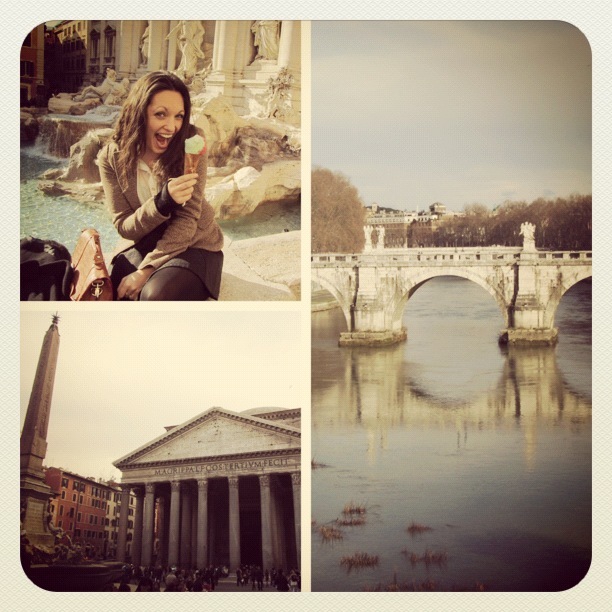 During our time in Rome, we went to as many places as our feet would carry us and doing it all on foot meant we really got to explore Rome’s historic streets and found ourselves immersed in flower markets, military parades and quaint Italian Piazza’s. 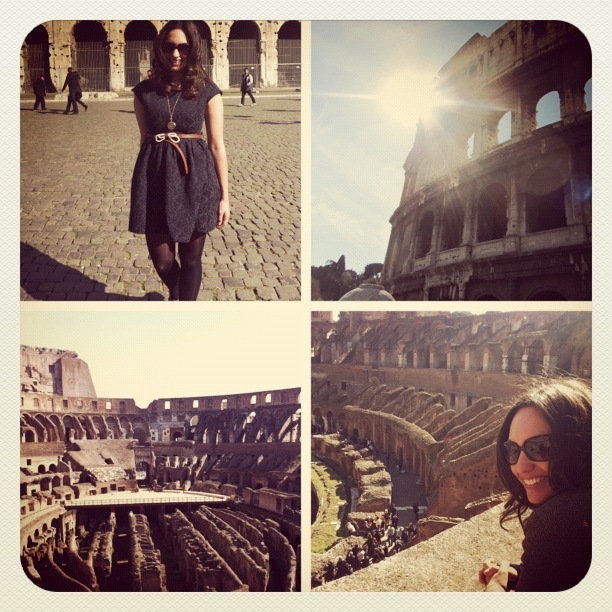 You can’t come to Rome and fail to see the Colosseum. It really is a “must” do and it is just as impressive on the inside as it is on the outside. It is captivating to look at and being able to go inside and walk around brings the history to life. I found it quite haunting to imagine what it must have been like for the Romans at that time, especially for the Gladiators who risked death each time they fought. They were mainly, criminals and slaves who were up against wild animals like bears and lions (who’s skeletons are now displayed)! I wish you could actually go down further into the depths of the amphitheatre as this may help give a more realistic sense of scale and perspective. My tips for here would be to get the audio guide rather than a tour guide, this gives you the freedom to explore on your own time and although the guides are English-speaking, they are not native English and were very hard to understand. Also, when it is busy outside, take a walk round to the other side to see the Colosseum from a different angle and perspective. You may also get better photos here! Also, if you are a memeber of the EU, you get in for half the price too which is a bonus so take along your passport or driving license! 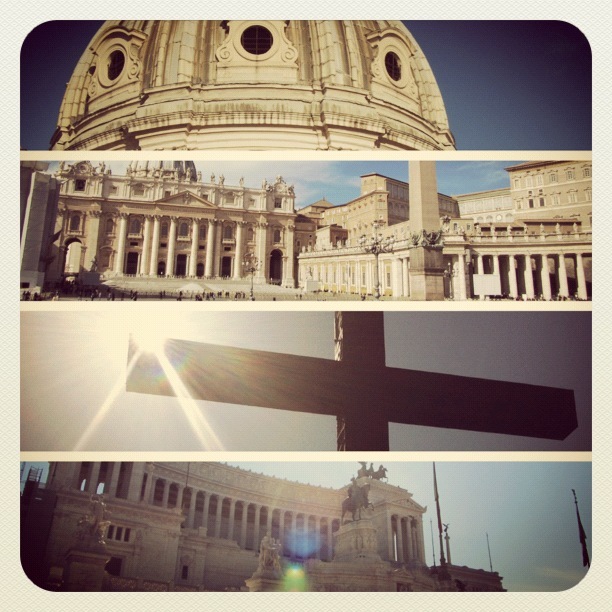 We also made sure we went to Vatican City on the Wednesday so we could see the Pope in the flesh! Neither of us is particularly religious but I thought we should go as we were there. This experience was probably the worst thing about the day as you enter a very modern “Church” round the back of the St. Peter’s Basilica and it looks just like a school hall, packed with people and I had to watch the TV screens provided to see the Pope anyway! However, Vatican City itself lives up to its reputation and is beautiful, vast and very well looked after. If you go all the way there, you must make sure you go into the Sistine Chapel. It is really quite amazing, far more so in life than people are ever able to describe. Entry to the Museum is worth it but make sure you know what you want to see before you go because there are over 200 rooms and it would take 7 years for you to see everything on display! All tour guides here are native English and they know what to show you and how to get about so I think they are worth the expense! All religious sites in Rome require for your arms, chest and knees to be covered so make sure you go prepared if visiting in the summer. From here, I’d recommend walking down to the river and crossing the famous Ponte Sant’Angelo (bridge with Angel statues on it!). It is very pretty and on a sunny day, provides the perfect setting for a romantic stroll. You can walk to Piazza Navona from here too and grab a beer in the local restaurants, check out the market and be entertained by endless street-theatre. After you’ve rested your feet for a little while, stroll across to Piazza della Rotunda, a small square with one of the most amazing sites in Rome, the Pantheon. It is free to go in and look around and they invite you to prey with them for the religious among the tourists twice a day. I won’t spoil it for you, just make sure you go! You’ll often be told when visiting Rome that the Spanish Steps are a “must” but I wouldn’t kill yourself going. They were just covered in students eating their lunch and the volume of people around there is quite uncomfortable. Walk past and see them but I would not recommend spending ages walking up etc, there are far better things to see! This could be said too of the Trevi Fountain although this is really beautiful and I think should be seen but I wouldn’t recommend lingering. We did as we were told and bought ice-cream from their famous shops and threw 3 coins into the fountain for luck! 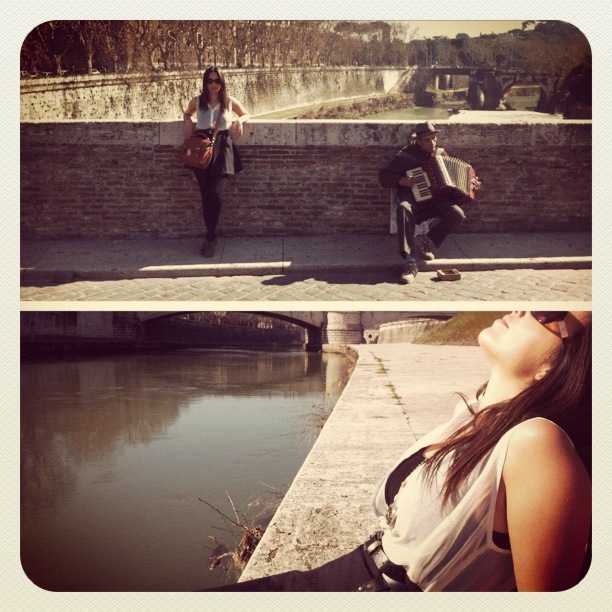 It was lovely but very, very busy and if you ask me, there are nicer places for ice-cream in Rome! I did manage to brave the heels for one night and we found non-touristy places to eat which were cheaper and far better than the restaurants with the good views. I’d highly recommend both, Fraschetteria Brunetti and Brunetti both on Brunetti street. We were told to go there by a friend and both offer amazing food, friendly, fun and generous service and you are surrounded by Italians not tourists!In general, I’d say keep things casual on your visit to Rome, be comfortable and dress for the weather. I took along my favorite Dahlia dresses (in blue and cream!) and a mini-skirt from River Island that I teamed with a nice floaty white top from Urban Outfitters. Italian girls dress well…so make sure you give them a run for their money! This entry was posted in Fashion & Beauty, Personal, Travel and tagged City breaks, Colosseum, Pantheon, Pope, Rome, Travel Advice, Vatican City, What to wear. Bookmark the permalink.